February 26, 2018, 10:25 a.m.
YouGov recently published its annual BrandIndex Buzz Rankings. Once again, German discount supermarkets Aldi and Lidl top the list but one perennial fixture in the top ten was notable by its absence. While Dyson had been a fixture in the list for the past four years, but it dropped to 13th place in the most-recent rankings. What does wider YouGov brand tracking data tell us about why this could be? Our data shows that while Dyson remains a very well-regarded brand and a favourite among British consumers, public perception of the brand has dipped over the past 18 months. Indeed, when it comes to its Impression score (whether someone has a positive or negative impression of the brand), it is in third place in YouGov’s Domestic Appliances sector, trailing Bosch and Samsung. 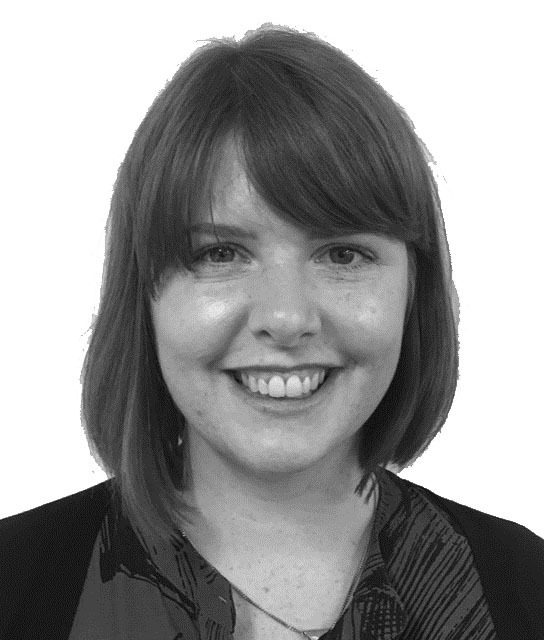 Whilst the brand remains a well- regarded one there is a less positive longer-term trend. In May 2016, Dyson was narrowly ahead Bosch among all respondents, with an Impression score of +44. However, since that time its score has gradually declined, and now sits at +37 (while Bosch has remained at a similar level to before). The pattern is repeated among its current customers, among whom impression has decreased from +78 to +68 since the beginning of 2016. As this measure has declined, another has increased. 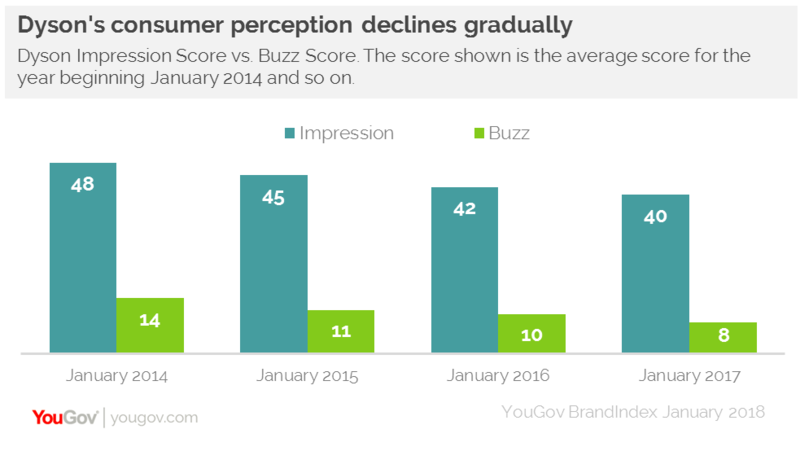 The Buzz score measures whether someone has heard something positive or negative about a brand over the previous two weeks. Among the population as a whole, at the start of 2014 Dyson’s hovered around the +16 mark. Now it stands at +4 (with several peaks and troughs in between). There may be a number of reasons for this. Various stories around the brand and its founder have made the press, including ones about court cases with former executives, and the company’s future plans. James Dyson himself has also been a prominent and vocal business voice in favour of Britain leaving the European Union. But things beyond media coverage may also be shifting opinion. There has also been a drop in how the public regard the quality and value for money of Dyson’s products. While Dyson is only beaten by Bosch in terms of Quality score in its sector, it has still dropped by 11 points since January 2014 (from +50 to +39). Looking at its Value for Money score, there has been another decline, from +15 to +5 over the past four years. While perception of the brand has dipped, its new ventures could re-invigorate public opinion. Its move into the motor industry to build electric cars gives Dyson the opportunity to reassert its reputation for innovation and job creation. What’s more, the brand has been boosted by growth in other markets, notably Asia. So while consumer perception in Britain has dipped, the underlying strength of the brand is helping to sustain its position across the world.